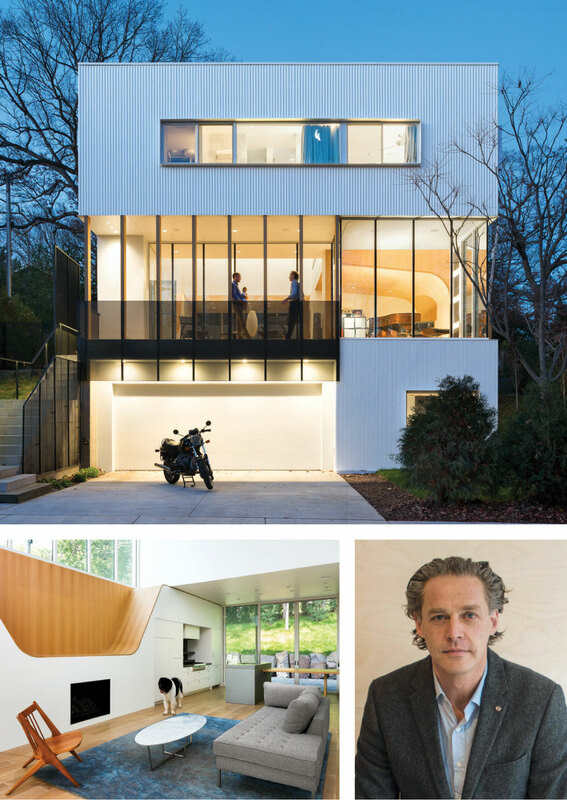 Prefab housing, IKEA, and the craze for all things modern were tantalizing possibilities when Charlie Lazor, after graduating from Yale School of Architecture in the early ’90s, started Blu Dot in 1997 with college friends Maurice Blanks and John Christakos. Blu Dot’s flat-packed, ready-to-assemble modern furniture sparked enthusiasm for a type of décor that continues unabated. Meanwhile, by 2004, Lazor had started his own practice, Lazor/Office in Minneapolis, and amplified the Blu Dot concept into a prefab system for constructing custom-designed modern homes. Called FlatPak, the panels (wood, concrete, metal, glass) could be assembled onsite in a variety of configurations. FlatPak helped launch the passion for modern prefab housing that continues to this day. Now comes the Stack House, a residential-design system that uses blocks—think children’s wood blocks—stacked to create private and shared spaces. Lazor recently completed the first Stack House near Cedar Lake in Minneapolis. How did you get from flat panels to building blocks? First and foremost, I’m interested in architectural concepts. Good architecture follows a good concept, something that’s clear, legible, and purposeful. Both blocks and panels are inherently architectural. They’re how space is made and how buildings situate themselves in a residential or urban fabric. They’re three-dimensional, playful, and fun. So the blocks became another organizational idea for a domestic architecture, but one that would create private spaces and shared spaces in a way that allowed people to be apart from one another and yet together. In FlatPak and my earlier residential work, the kitchen, dining and living spaces were all in one area. Stack House creates a second type of space: nooks and crannies with a sense of privacy and purpose, yet open to the rest of the space. Are the curved walls in the living space and in the piano room examples? Yes. The half-pipe lounge, as we call it, is literally a reclining chair that can be enjoyed from above—it looks out to a 200-year-old oak tree—or below, with views of the sky out the windows. I’ve always been interested in how to make furniture out of architecture. The white-oak veneer is a nice contrast with the simple geometry of the blocks stacked like in a Jenga game, and adds a flowing element to the space while demarcating it as special, as in the piano room. The exterior of the Stack House is rather industrial. Actually, the corrugated metal has a texture like corduroy or Issey Miyake pleats. As the light hits it throughout the day, the surface changes. And the white cedar columns help offset the massing. How adaptable is the Stack House system to other programs and clients?